Compared to the model before it, the second-gen Countryman is 20 centimeters (7.8 inches) longer, with 7.5 cm (almost 3 inches) of the stretch into the wheelbase. It’s also 3 cm (1.2 inches) wider than before, so calling it a Mini is a bit of a stretch (pun intended). The significant jump in size does bring some benefits, such as the extra legroom for passengers sitting in the back as well as a more generous trunk capacity that has increased to 450 liters. Should you need to carry more cargo, folding down the 40:20:40-split rear seats will boost the total volume to 1,309 liters, which represents a massive 220-liter improvement. Keep in mind that going for the plug-in version will mean sacrificing some of the space in the trunk, with Mini saying the company’s first-ever hybrid will have “slightly less” cargo capacity than the regular car. Basically a compact model, the 2017 Mini Countryman isn’t all that different in terms of design compared to the model it replaces. That being said, it does look better than the first generation, but the fact that it’s even bigger than before certainly won’t be to everyone’s liking since some will argue that it looks bloated. Underneath the hood you’ll find the same array of turbocharged three- and four-cylinder gasoline and diesel engines from the other Minis and BMW’s 2 Series Active Tourer / Gran Tourer MPV duo. 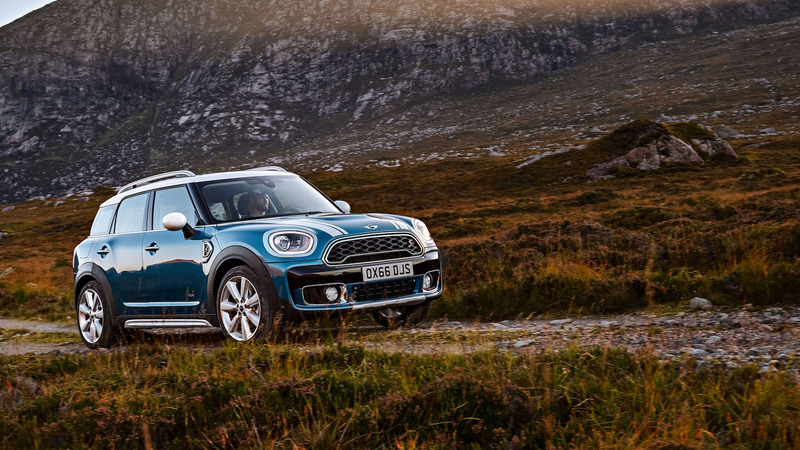 Without a doubt, the biggest news is the addition of a plug-in hybrid version officially known by its lengthy name of “Mini Cooper S E Countryman All4.” It has the same powertrain as the BMW 225xe, coupling a 1.5-liter three-cylinder gasoline engine with an electric motor. It’s good enough for a combined output of 221 horsepower (165 kilowatts) and 284 pound-feet (385 Newton-meters) and a sprint to 62 mph (100 kph) in a decent 6.9 seconds. Drive it in electric mode, the new Countryman will max out at 77 mph (125 kph). More importantly, the eco-friendly Countryman will run solely on electric power for as much as 24 miles (40 km) and in hybrid mode it will sip a mere 2.1 liters / 100 km in the European test cycle. 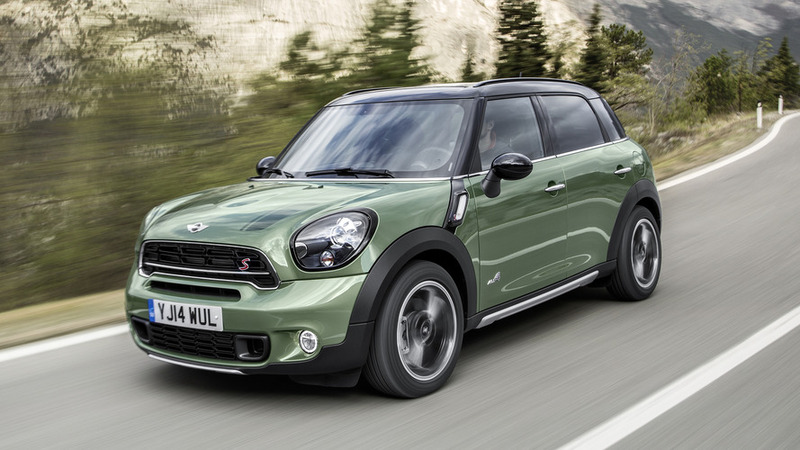 Mini will have the new Countryman lineup on display in November at the Los Angeles Auto Show prior to a European launch in February 2017, with the rest of the markets to follow a month later.